The largest of the supermarkets in town, the Montagu SPAR, has taken a step in the right direction by publicly pledging its support to help create a greener and cleaner environment in the Langeberg. They have and are keen to continue assisting the efforts of the "Rethink the Bag - Montagu campaign (in collaboration with the Breede River Winelands Rotary Club and Montagu-Ashton Tourism)" in its ongoing drive to create an awareness in the community of the harmful effects of plastic in our environment. SPAR would like to appeal to all their customers to try and remember (make a habit!) of bringing their own reusable bags when shopping. "Unlike popular belief that it will displease us to stop selling plastic carrier bags, nothing can be further from the truth", says Zander Smit, manager of the store. "We certainly don't carry and sell them for the purpose of making a profit". To buy plastics bags (shops are obliged to charge for the bags) already costs customers 40c per bag. It is estimated that the average family spends at least R25.00 per month on plastic shopping bags alone! It is further uncertain whether all some shoppers are aware that they are actually paying for the bags when they so readily request plastic bags upon checking out. 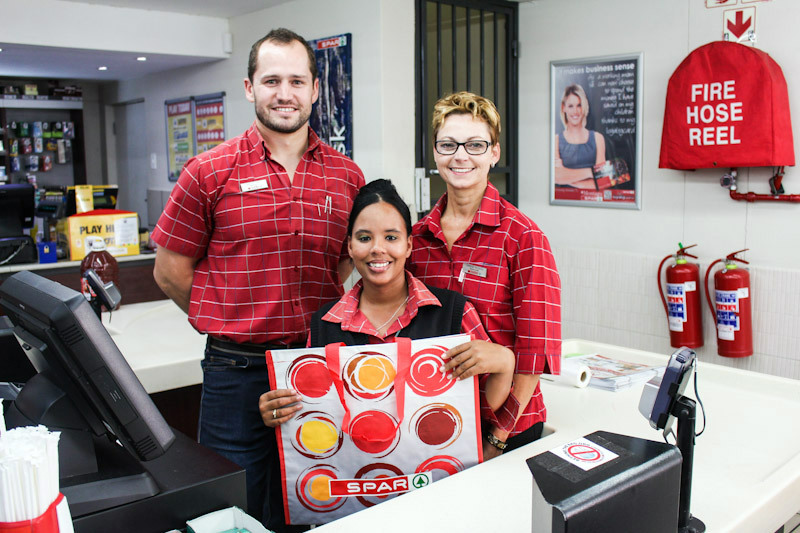 Even though SPAR carries their own range of reusable shopping bags, they are prepared to work with the Rethink the Bag Campaign organisers to source and buy bags locally from some of the Skills Development groups. If we as a community can all take active steps to help eliminate the use of non-biodegradable plastic shopping bags, we can make a meaningful contribution towards the greening of our town. Most people we have spoken to are all in agreement that "they agree and must do their bit also" .... in the same breath they usually add: "but I am forever forgetting to take my reusable bags along when I leave to go shopping!" Keep some in the glove compartment, or in the boot of the car ... it's just a habit we need to get into - so let's DO IT!